Two Israeli helicopters landed Tuesday morning in Hawara military camp south of Nablus to the north of occupied West Bank. Eyewitnesses affirmed that two Israeli helicopters landed early today in Hawara military camp amid intensive presence of Israeli patrols in the area. Earlier Tuesday, large-scale raid and arrest campaign was carried out in Balata refugee camp and al-Tal town in Nablus, while several local facilities were demolished east of the city. 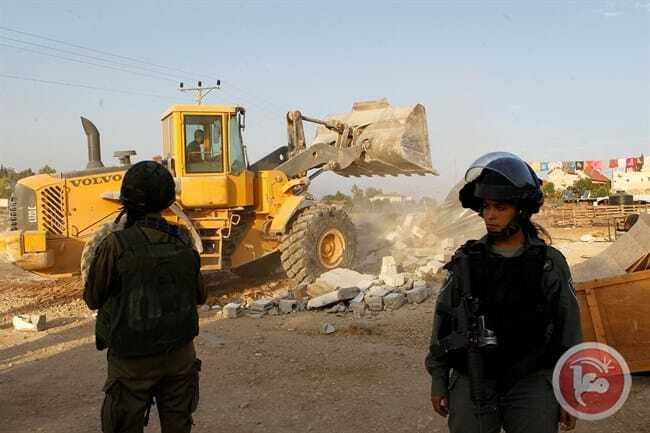 Israeli bulldozers Monday morning demolished 11 residential structures in the Bedouin community of Khan al-Ahmar in the central occupied West Bank district of Jerusalem. Dawood Jahalin, secretary of the Fatah movement in Jerusalem's Bedouin communities, told Ma’an that Israeli bulldozers escorted by Israeli forces demolished 11 residential structures without allowing the owners to evacuate personal belongings and furniture. 87 Palestinians, the majority of whom are women and children, were left homeless as a result of the demolitions. 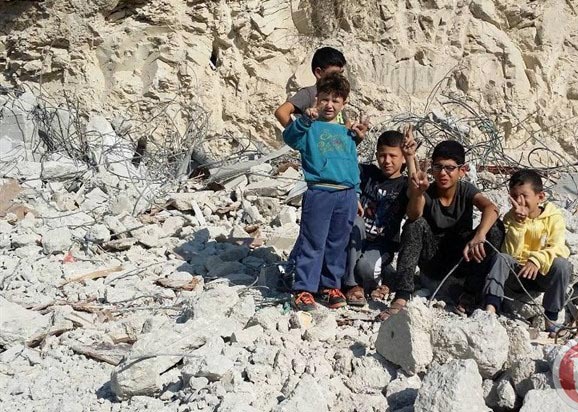 Jahalin added that Israeli forces imposed a siege on the area and closed its entrances during the demolitions, noting that the same 11 structures, made out of tin sheets and wood, had previously been demolished for the first time in August. In October, Israeli authorities demolished eight homes in the community. Israeli human rights group B’Tselem reported at the time that 28 Palestinians, 18 of them minors, were left homeless by the demolitions. A spokesperson for the Coordinator of Government Activities in the Territories (COGAT), the Israeli agency responsible for implementing Israeli policies in Palestinian territory, told Ma'an at the time that “enforcement measures” were carried out against “eight illegal structures” belonging to Palestinians near the Israeli settlement of Maale Adumim -- which, like all Israeli settlements in the occupied West Bank and East Jerusalem, is illegal under international law. 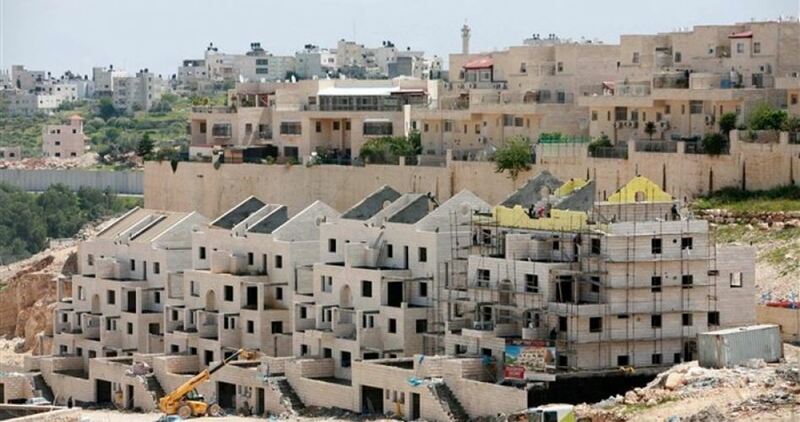 The spokesperson said that the structures were built in 2012 without hard-to-obtain, Israeli-issued building permits. “Currently, the program is ready to receive families but the Bedouin population refuses to reach an agreement to regulate the planning status and continues to build illegal structures in the area." In contradiction to these statements, rights groups and Bedouin community members themselves have sharply criticized Israel's relocation plans for the Bedouin residing near the illegal Israeli settlement of Maale Adumim, claiming that the removal would displace indigenous Palestinians for the sake of expanding Israeli settlements across the occupied West Bank in violation of international law. A demolition ordered was issued in August against a school in Khan al-Ahmar, though in late October, the Israeli government postponed its decision regarding the fate of the school. The school, which was partially funded by an Italian organization and the Italian government, has long been slated for demolition by the Israeli government. The Israeli NGO Rabbis For Human Rights speculated that they believed Israel was avoiding making a decision as a result of the immense international pressure not to demolish the school, built of mud and tires, which has become one of the most high-profile targets of Israel's massive demolition campaign against Palestinian homes and livelihood structures. Palestinian Prime Minister Rami Hamdallah also denounced the forcible transfer of the Bedouins in August, saying that "Israel's systematic violation of international laws is no longer acceptable by the international community." That same month, UN Humanitarian Coordinator in Palestine Robert Piper warned of a heightened risk of forcible transfer of Bedouins in the occupied West Bank. Demolitions in the occupied West Bank and East Jerusalem have saw an unprecedented surge in 2016, as Israeli authorities demolished 1,081 Palestinian structures as of Dec. 26, with 870 in Area C alone, in a large increase from 531 in all of 2015, according to UN documentation. 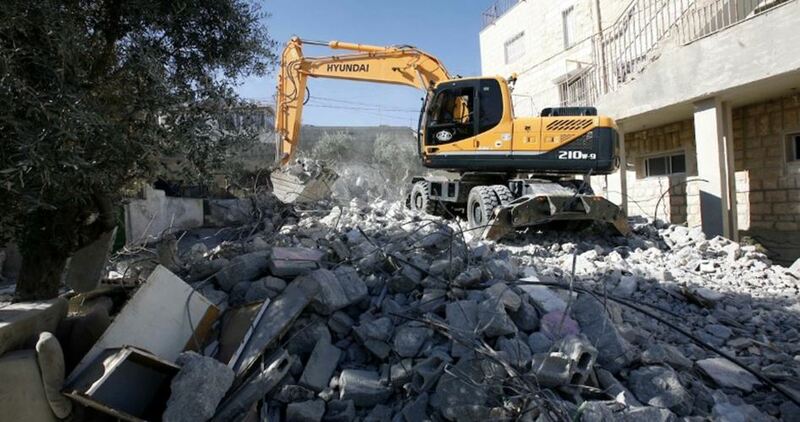 Five Palestinian homes were knocked down by the Israeli occupation bulldozers in East Jerusalem on Monday morning. Spokesperson for the Palestinian Bedouin communities, Abu Imad, said over ten Israeli army vehicles cordoned off Palestinian homes in al-Khan al-Ahmar area, in East Occupied Jerusalem, before they demolished five mobile homes sheltering Palestinian families. The demolitions have been carried out under the pretext of unlicensed construction. According to Abu Imad, the demolitions have been ongoing since the early morning hours. Al-Khan al-Ahmar area is home to 20 caravans sheltering dozens of Palestinians. The move reportedly makes part of larger scheme of ethnic cleansing pursued by the IOA so as to force Palestinians out of their homes and hold sway over the area in favor of illegal settlement expansion. Local residents from Deir Ballut town in Salfit has complained that the Israeli occupation authorities (IOA) destroyed one of their power lines east of the town during the ongoing bulldozing activities in the area. The local residents told a news reporter from the Palestinian Information Center (PIC) that the power line became a constant threat to their lives, especially the lives of their children, and they stressed the need to fix it quickly. The Israeli authorities, however, do not seem to care about repairing the power line after it collapsed, the residents voiced fears. All the Israelis care about is to expand the illegal settlement of Leshem at the expense of the Palestinian towns, they said. The residents expressed hope that the international community and its organizations could move to pressure the IOA to stop its settlement activities in their area. Leshem is an illegal Israeli settlement located west of Salfit Governorate and five kilometers away from the Green Line. It is located near the illegal settlements of Eli Zahav and Peduel in the south. The construction of the Leshem settlement started in 2013 on a vast tract of Palestinian land annexed from the nearby Kafr ad-Dik and Deir Ballut towns. 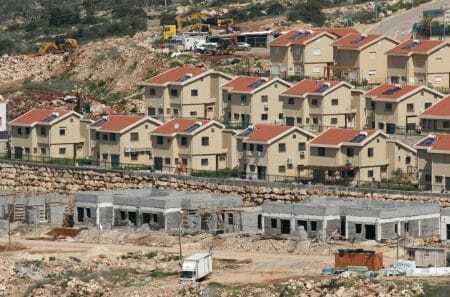 Today about 100 Jewish families are living in Leshem settlement with many other thousands expected to settle in the settlement once its housing and infrastructure building is completed. Israel’s education minister and leader of the far right, pro-settlement Jewish Home party Naftali Bennett said Sunday morning he would propose a bill by the end of the month to annex the illegal Israeli settlement of Maale Adumim. According to Israeli news sites, Bennett said during a government meeting that he expected "all the ministers in the government” to support the proposal. Calls to annex the massive settlement -- to pave the way for the annexation of the majority of the occupied West Bank -- have gained momentum among Israel’s lawmakers and ministers following last week’s passage of a UN resolution condemning Israeli settlements and reaffirming their clear illegality. In the days following the resolution’s passing, reports emerged that Israel was advancing plans for hundreds of new settlement units, and Israel's Jerusalem municipality apporved a plan to build a three-story building for Jewish settlers in the heart of the Palestinian neighborhood of Silwan in occupied East Jerusalem. Bennett reacted to the UN Security Council's resolution by calling on Israeli Prime Minister Benjamin Netanyahu to rescind his support for the two-state solution and the creation of a Palestinian state, which Bennett perceives to be a security threat to the state of Israel. “No resolution can change the fact that this land, Jerusalem, is our capital. And no people can be a conqueror in their own land. That’s why this resolution, like many of the earlier resolutions, will be thrown into the dustbin of history,” Bennett said. Following the election of Donald Trump as the next US president, Bennett said that a Trump presidency would mark the end of a push for the establishment of an independent Palestinian state. “This is the position of the President-elect, as written in his platform, and it should be our policy, plain and simple. 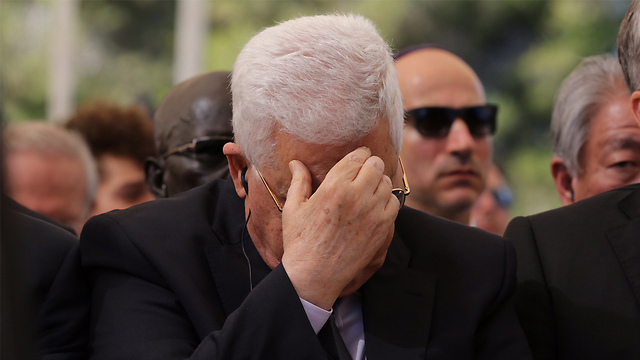 The era of a Palestinian state is over,” he said. Netanyahu has warned Bennett and Israeli politicians not to make public declarations related to annexation for fear that the calls would spark further action by the international community and the outgoing Obama administration; the US allowed Resolution 2334 to pass by not vetoing it at the Security Council, with US Secretary of State John Kerry defending the move in a blistering speech further condemning Israeli actions in the occupied territory. Kerry criticized Netanyahu for publicly claiming to advocate a two-state solution while simultaneously championing settlement policy to appeal to an increasingly right-wing government and Israeli public. “His current coalition is the most right-wing in Israeli history, with an agenda driven by its most extreme elements,” Kerry said. “The result is that policies of this government -- which the prime minister himself just described as ‘more committed to settlements than any in Israel’s history’ -- are leading in the opposite direction, toward one state,” Kerry said. While members of the international community have rested the solution to the Israeli-Palestinian conflict on the discontinuation of illegal Israeli settlements and the establishment of a two-state solution, Israeli leaders have instead shifted further to the right, with more than 50 percent of the ministers in the current Israeli government having publicly stated they are opposed to a Palestinian state. Meanwhile, a recent report by human rights group B'Tselem argued that under the guise of a "temporary military occupation," Israel has been "using the land as its own: robbing land, exploiting the area’s natural resources for its own benefit and establishing permanent settlements," estimating that Israel had dispossessed Palestinians from some 200,000 hectares (494,211 acres) of lands in the occupied Palestinian territory over the years. The movement of Israeli settlers taking over Palestinian land, and further displacing the local Palestinian population has been a "stable" Israeli policy since the takeover of the West Bank and Jerusalem in 1967, B'Tselem reported, underscoring that all "Israeli legislative, legal, planning, funding, and defense bodies" have played an active role in the dispossession of Palestinians from their lands. Israeli settlers on Sunday morning set up mobile homes in Nablus’s eastern village of Deir al-Hatab. 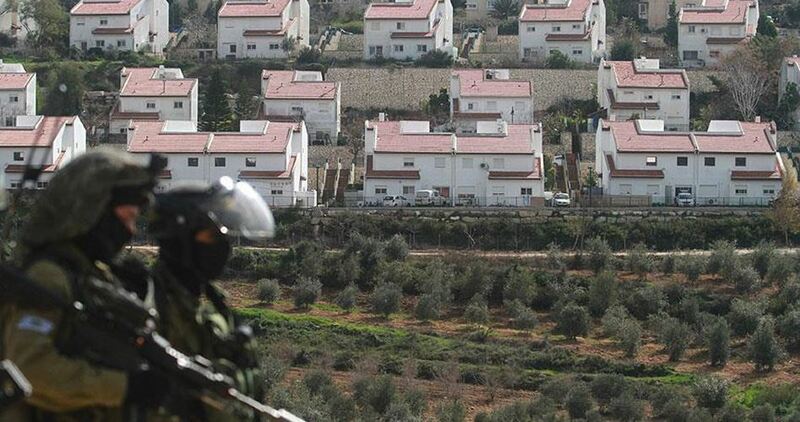 A PIC reporter quoted the Head of Deir al-Hatab Village Council, Abdul Kareem Hussein, as stating that Israeli army trucks set up caravans for Israeli settlers on Palestinian lands in Ras al-Ein area, to the east of Deir al-Hatab. The move reportedly makes part of Israeli intents to expand the illegal Elon Moreh settlement outpost at the expense of Palestinian lands in eastern Nablus.